Did you know that Sport Relief (www.sportrelief.com) is coming up soon on the 18th March 2016? We are big supporters of this charity for the vitally important work they do in Africa. Have you made a donation yet? Or are you taking part in a sporting event at the weekend? On the theme of sports and getting fit we thought we would take a look at some sports that you can do whilst on holiday in Africa. 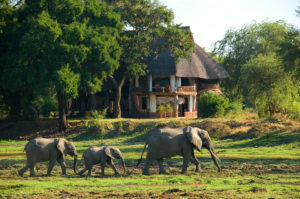 Africa is not just about safaris you know – it is actually a fantastic place for a sporting holiday. In fact many top athletes head off to Africa to do their training. Marathon runners in particular head into the high hills of the Western Great Rift Valley in Kenya to make the most of training at altitude and hope to become as fit as the world beating athletes that grew up there such as Wilson Kipsang . Other athletes head to Africa to make the most of the wonderful climate and the training facilities that can be found across the continent. For the truly energetic you could base yourself in the gorgeous Drakensburg Mountains of South Africa. 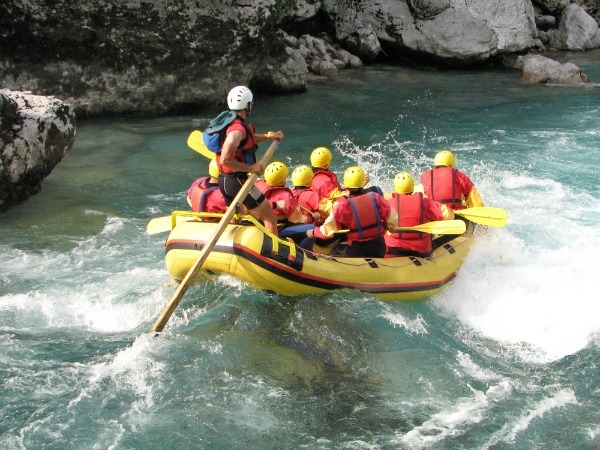 These mountains provide a stunning backdrop to all kinds of sporting activities including hiking, rock climbing, mountain-biking, white-water rafting, horse-riding and kayaking. A stay at Cathedral Peak would put you in the heart of the action and the hotel can organise most of these activities for you. Those of you who fancy something more sedate might think about golf. South Africa is home to some of the best golf courses and championship venues in the world. There are just too many to mention but I have highlighted a few of the best. On the Garden Route you can play golf at Mossel Bay with stunning views over the sea and Fancourt is another well-known golf resort in the area that can be combined with a holiday in this area. If the Cape Winelands appeal more then you can play at Stellenbosch making the most of the excellent dining and wine in this area. Cape Town is also home to many great courses so you could combine a city break in this wonderful and vibrant city with your favourite pastime. Up in Sun City near Johannesburg you have the option of playing on the fabulous Gary player course or the famous Palace of the Lost City course. This would work really well with a safari in the Kruger National Park or Pilanesburg as both are close by. If water-sports are more your thing then how about scuba diving in Mozambique or swimming in the warm waters of Zanzibar. Deep sea fishing or sport fishing is also widely available in both these places. 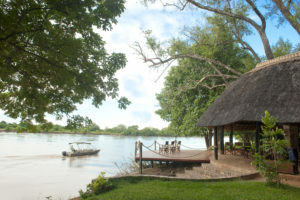 Windsurfing, sailing and sea-kayaking are available at some of the larger hotels and resorts along the Kenyan and Tanzanian coasts. 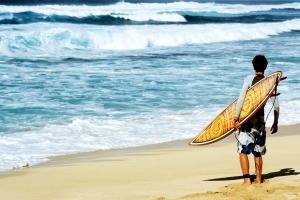 And South Africa is one of the best places in the world for surfing. 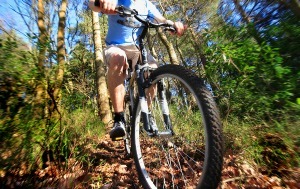 Try the resorts on the Garden Route. 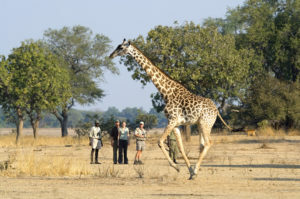 If gentle exercise is more your cup of tea then how about a walking safari in Zambia? Or a stay in a nature reserve in South Africa such as De Hoop where you can get out walking with a guide every day or swim in the pool or play tennis? These are a fantastic way to see the wonderful wildlife but also to keep you mobile and fit and healthy at the same time. Want to hear lions roar as you sink into a feather pillow? Look no further – as you will see from our Lodge Library we have dozens of options for experiencing the true African wilderness. 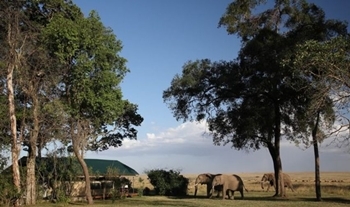 Permanent camps are, as the name suggests, able to operate all year round in the same location – although a handful do close if they are inaccessible during the rainy season. Mobile camps only operate for part of the year in that location then will be packed up and moved out leaving very little trace of its existence. Mobile camps are often regarded as the most environmentally friendly option as they are run on solar power and use very little in the way of natural resources and have a very low impact on the surrounding environment. In a permanent camp you will have a spacious tent with en suite bathroom traditionally built on a large wooden deck with great views over the surrounding scenery. The camps tend to have a central mess building where meals and drinks are served and reception is located. Some even have swimming pools for some rest and relaxation during the heat of the day. The tents are usually spread out over the property to allow some privacy between tents and make the most of the location. Some of the permanent camps are beautifully stylish and very luxurious considering you are in a tent! Some have roll top baths, four-poster beds and top of the range bedding to ensure you sleep like a baby whilst you are there. There are windows with mesh to let the cool breezes blow through and lanterns so you can read at night. 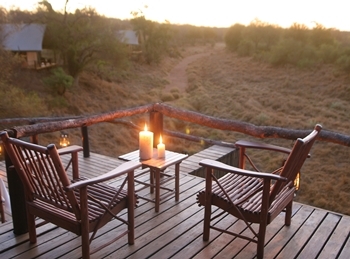 A permanent tented safari camp will give you the full romantic Out of Africa experience that you just cannot get elsewhere – where else can you fall asleep listening to the lions roar? 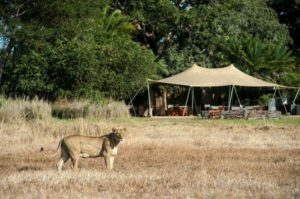 Mobile safari camps vary in their levels of luxury and style but some of the top of the range camps are incredibly luxurious – amazingly when you think they have to be dismantled at the end of the season. Many are built from local materials at the start each season. Most offer private washing facilities and comfortable beds so you can have the best of both worlds without giving up your home comforts. 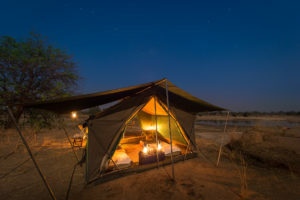 The big advantage to mobile camps is that they tend to be smaller and more exclusive, usually only 4 or 5 tents at a time, and they are often in the most remote locations giving you a chance to experience the real wilderness and its incredible wildlife. 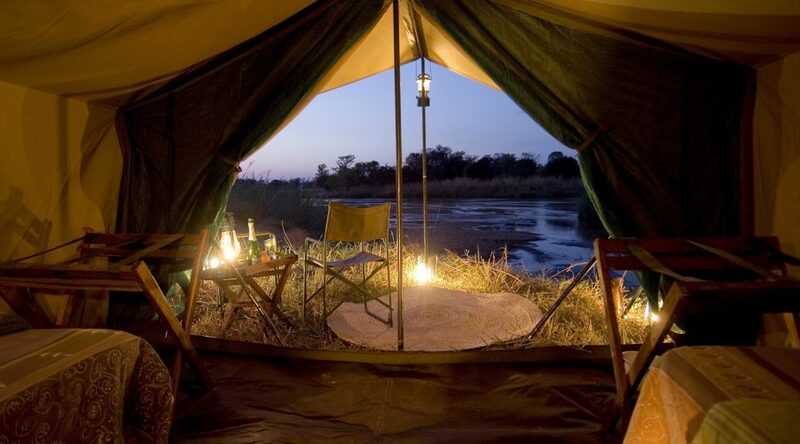 Mobile camps are limited in number and can be found in Zambia and Botswana in particular. 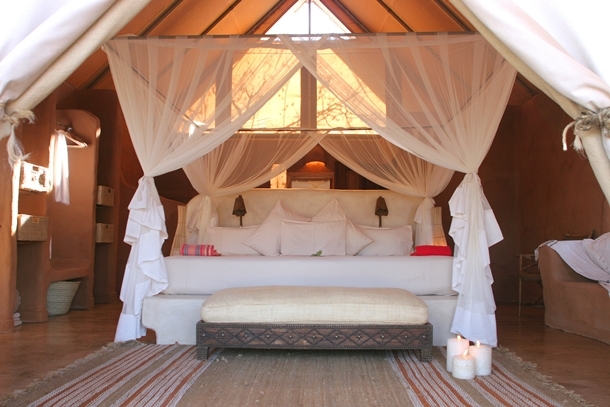 In contrast permanent tented camps can be found pretty much everywhere. 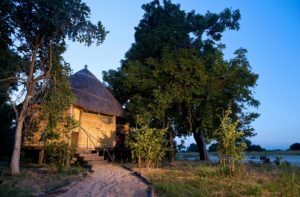 Some of the best mobile camps are in the Okavango which offer a chance to explore remote parts of the delta on horseback or by canoe. 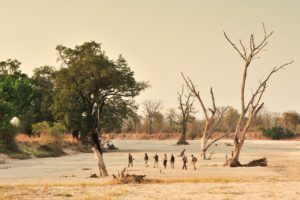 Travelling to these camps is part of the adventure and in Zambia you can even explore the South Luangwa National Park on foot. 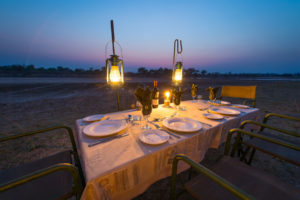 We offer the Zambian bush camps as part of a Norman Carr walking safari so that when you arrive you find everything set up for you in advance. Some of these bush camps are mobile camps and are dismantled at the end of the season. Some of our favourite permanent tented camps are Governors Camp which offers traditional tented luxury in the Masai Mara, Sarara Camp in northern Kenya, Mbuzi Mawe in the heart of the incredible Serengeti and the elegant Garonga Camp in the Kruger in South Africa. We offer many different tented camps; from small and exclusive to large and luxurious – please take a look at our Lodge Library to find out more. If you prefer to talk to someone about which camp might suit you then why not give our sales team a call – they all have their favourites! Last week we left Lily about to embark on a walking safari in the South Luangwa National Park in Zambia. 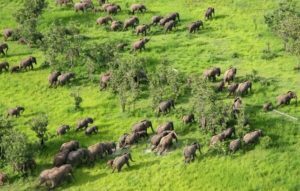 I watched the South Luangwa river come into view from the air ; a meandering serpent of shiny bottle green and its sweeping sandbanks dotted with large burgundy shapes of basking hippos. How many rivers are there left on earth that flow for over 1000 kms and are still as untouched, remote, healthy and scenically beautiful as the Luangwa? There are no dams, commercial agriculture or livestock along its banks. 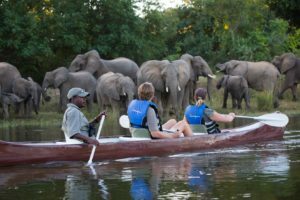 So it was a real treat and a privilege to have four days in the South Luangwa Valley , also known as theValley of the Elephants, on a walking safari with Norman Carr Safaris. 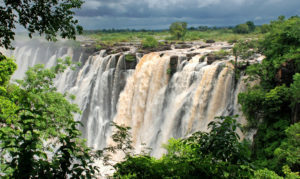 This area is famous for its walking safaris, wildlife and beautiful landscape. 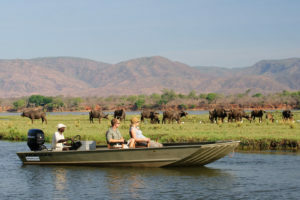 The Luangwa River, surrounded by flood plains, lagoons and riverine woodlands, is home to herds of buffalo up a thousand strong. The area is also famous for its large number of predators, particularly the elusive leopard. I received a warm welcome from Nsolo Camp who were waiting for me with braai already set up and the other camp guests were keen to tell me about a lion kill they had seen earlier in the day. The accommodation is based in comfortable, spacious chalets built on raised wooden decks with reed walls and en suite bathrooms, open to the trees and skies. 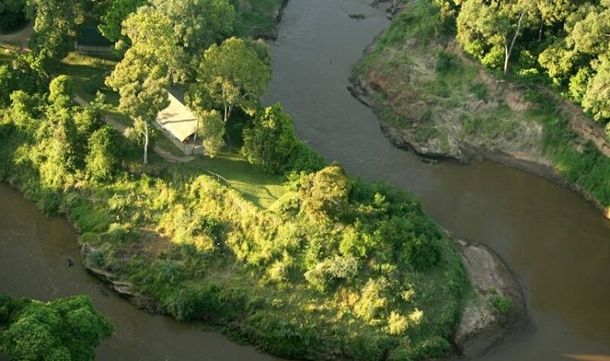 Each chalet is set under the shade of evergreen trees with private verandas overlooking the surrounding bush and the seasonal Luwi River. 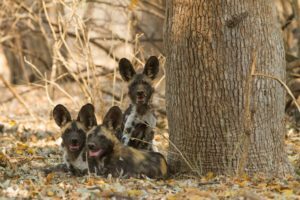 The late Norman Carr established the South Luangwa Valley’s first safari camp in 1950 and pioneered the idea of a safari where people took photographs of animals rather than shooting them! He recognised, far ahead of his time, how important it was to work with the local communities and established Nsefu Camp in the northern sector of the park in partnership with Paramont Chief Nsefu and his community. Norman then went on to create the walking safari in Zambia and his son, Adrian and daughter in law, Christina, are carrying on the company as Norman would have wished. The following day I moved to Luwi Camp where I had another exciting day walking through the African bush. The day finished with me being kept awake by nearby lions growling in the bush! I then flew down to Lilongwe in Malawi where I transferred to a light aircraft. The flight from Lilongwe gave us wonderful views over the Malawian countryside and Lake Malawi. Lake Malawi is also known as the Lake of Stars, named so by Doctor David Livingstone, and it is definitely the stunning centre piece of this lovely country. I flew to Likoma Island which is an island covered in mango trees and ancient baobabs about 8 kilometres from the shore. On arrival, I was warmly greeted by James Lightfoot on the short airstrip who transferred me to the beach where we took a speedboat around the bay to his beautiful lodge of Kaya Mawa located on the south west tip of the island in Lake Malawi. The lodge was rated by Conde Nast magazine as one of the planet’s ten most romantic destinations and I have to agree with them! James showed me round all the accommodation: the bar, just metres from the water, offers fantastic sunset views all the way to the south of the lake. Dinners are served on the beach or in a romantic hideaway somewhere around the lodge. Sadly this beautiful lodge was the last part of my epic odyssey and the end of my stay in Malawi. But what a wonderful end! I am already dreaming of returning one day soon.